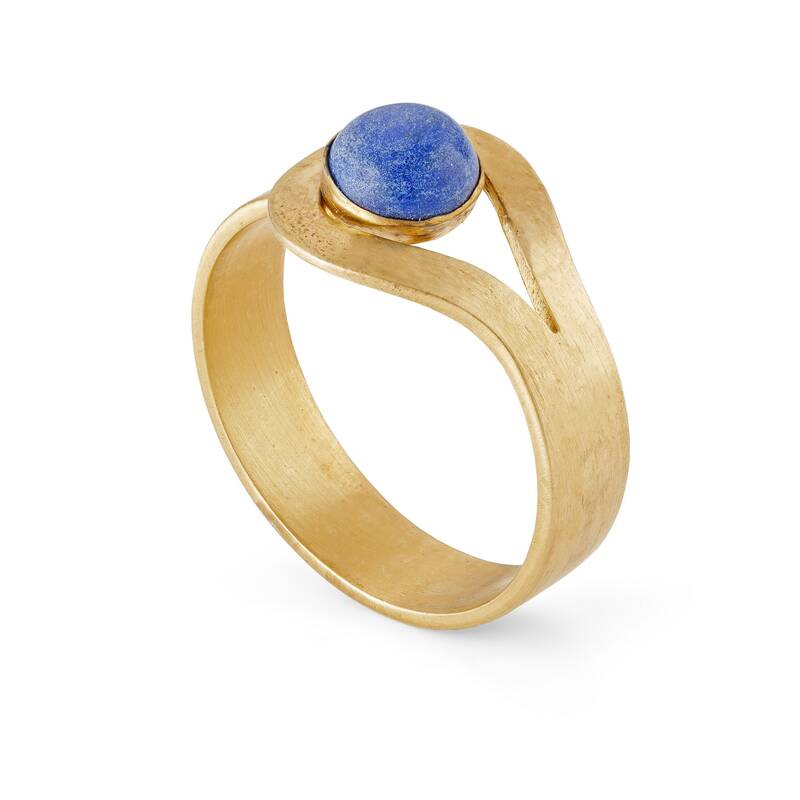 A striking sterling silver wrap-around ring set with a lapis lazuli cabochon and plated with 24 carat gold. 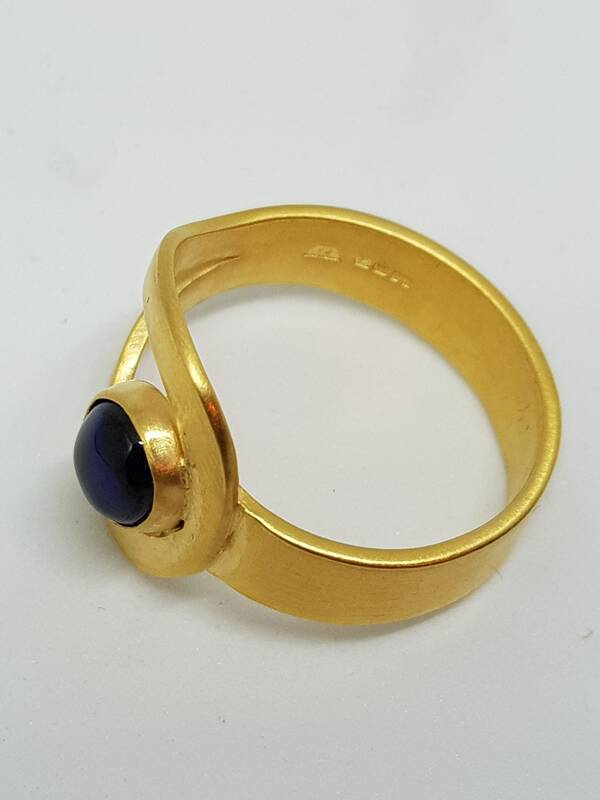 The ring is 5 mm wide and the lapis lazuli cabochon measures 6 mm. 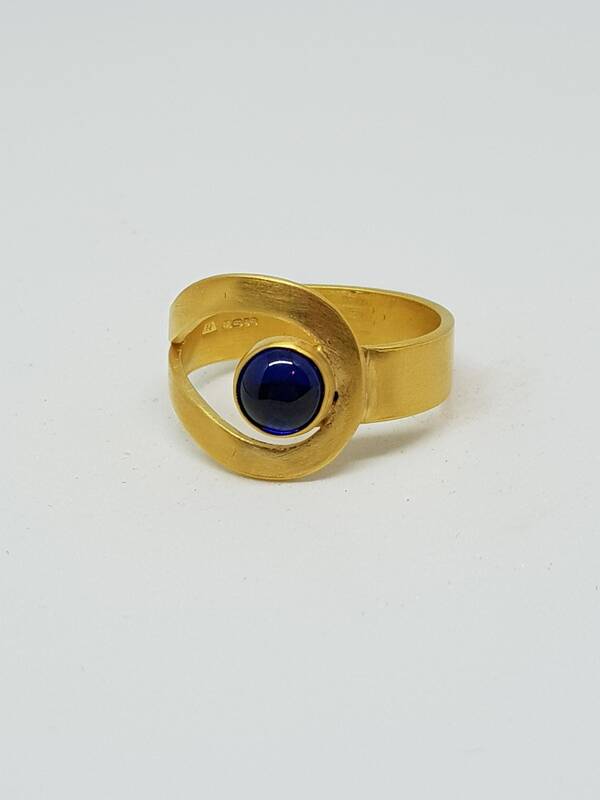 The piece was inspired by the jewellery of South-East Asia and is a pared-down design that I hope reflects the essence of the style. The plating is professionally applied and brushed to create a contemporary look. 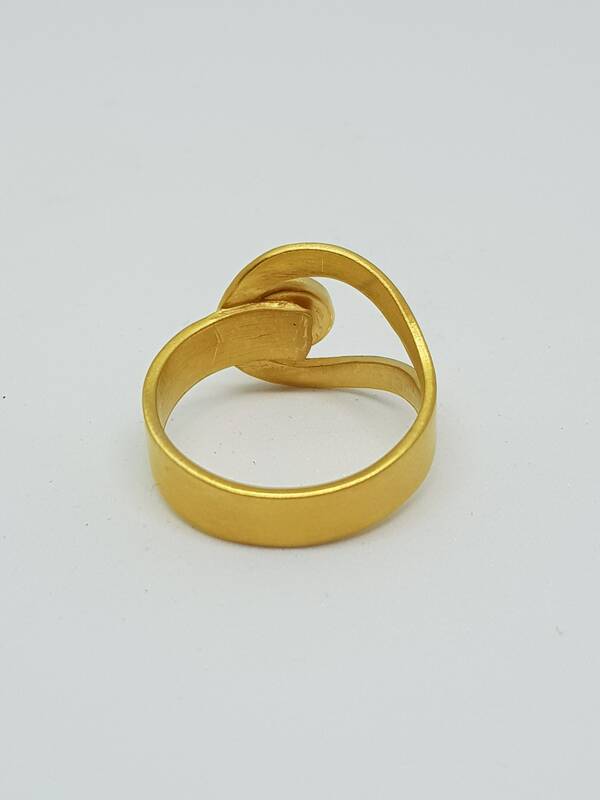 The gold has been applied to a thickness of 3 microns which qualifies it to be described as "vermeil".